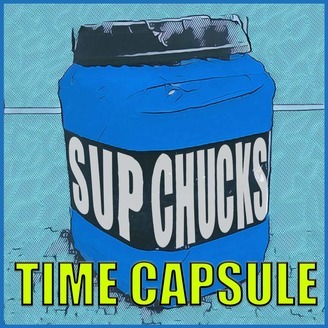 Supchucks presents ‘Time Capsule’ is a weekly podcast for your entertainment! Each week, Eric, Kayla, and occasionally some friends will open various different Time Capsules from the past.We’ll open a Time Capsule from different years in four categories: TV, Film, Video Games, and Music. Whatever saw a release date, a premiere, or a finale this week back in the random years our computers select, we’ll examine. We will give you a little history on the title, give a little commentary, and try our best to entertain you each week.For Example a show from March 19-25, 2017 might feature:TV: 1982 – Joanie Loves ChachiFilm: 1967 – HombreVideo Games: 1993 – Kirby’s Adventure (NES)Music: 1997 – Wild Orchid – “Wild Orchid”The ‘Time Capsule’ podcast is brought to you by Supchucks Media. You can visit our official website at www.supchucks.com for updates on the latest in Movie, TV, Games, and other news. Supchucks Presents Time Capsule! A Weekly Podcast For Your Entertainment…. Each week, Eric, Kayla, and occasionally some friends will open various different Time Capsules from the past. This Week’s Time Capsule Episode: Just Look At Paul Rudd * TV: 1986 – Love Boat (finale) * Video Games: 1986 – Super Mario Bros. 2 aka The Lost Levels (NES) * Film: 2007 – Knocked Up * Music: 1993 – Pat Benatar – “Gravity’s Rainbow” Our concept: we open a Time Capsule from different years in four categories: TV, Film, Video Games, and Music. Whatever saw a release date, a premiere, or a finale this week back in the random years our computers select, we will give you a little history on the title, give a little commentary, and try our best to entertain you. If you enjoy this podcast please give us a review and subscribe. That way you can catch our weekly episodes. If you really enjoyed it, consider donating to our Patreon at https://www.patreon.com/supchucks Subscribers to our podcast will receive special gifts you can’t get anywhere else. For example: * A monthly video of Kayla and Eric playing one of the Time Capsule Video Games * Commentary for one of the Movies or TV shows we discuss * And more! 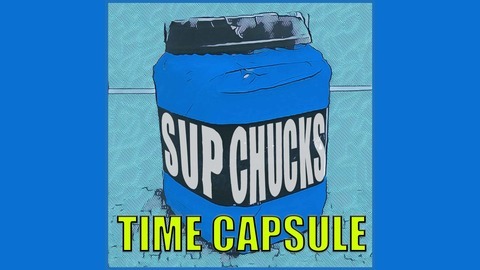 Check back next week for the next awesome episode of Supchucks Presents Time Capsule Now You Know Whassup, Chucks!